Chow Chow /Seemebadnekayi/Chayote Squash Chutney is a tasty and healthy side dish for Idli, Dosa, Pongal, upma and all tiffen varities. 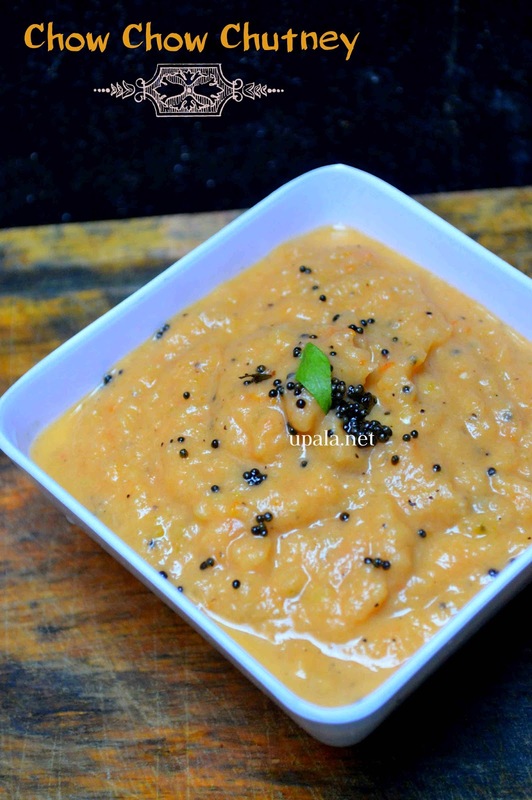 I have already posted Chochow thogayal recipe that goes well with Rice. 1) Heat 1 tbsp of Oil in a Kadai/Pan and add Onion and fry for few minutes. Then add Tomatoes, Gren chilli and ginger, fry them till tomatoes turn mushy. 2) Add chopped chow chow and fry. Sprinkle few water and close it with a lid to cook. After it cools, add Salt and grind to smooth paste. 3) Heat 1 tsp of Oil and add Mustard seeds to crackle. Then add Curry leaves and fry. Pour this seasoning mixture over chutney. Tasty Chayote Squash Chutney is ready. 1) According to your taste, you can also add 2 Garlic pods. 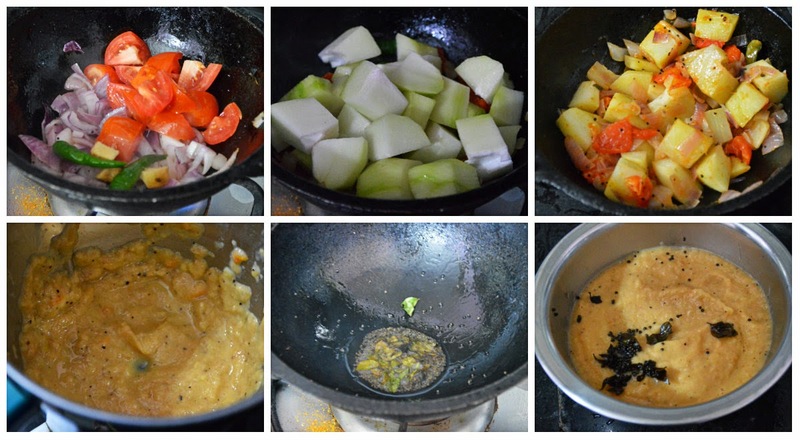 2) You can also skip Onions if you want to prepare this chutney as No onion recipe.